AsSBs sends in a Crosshair 4 Extreme viz. armed with a Lucid Hybrid chip. Big board and big on features so let’s see how she runs! The packaging comes with the explanation of the offerings on this board. Notice the Lucid logo in the corner. 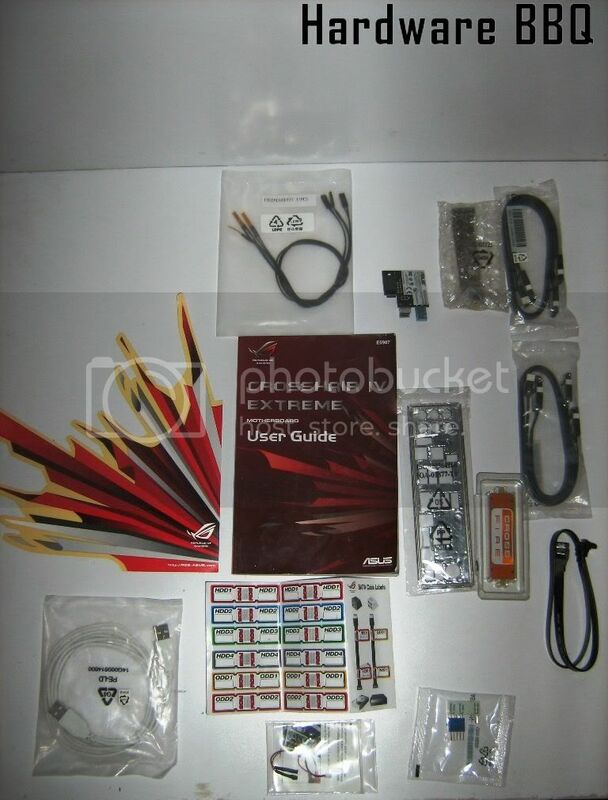 The board comes with lot of accessories: SATA cables, ROG Connect USB cable, Bluetooth module add-on. If you notice, there are 3 accessories that are not usually involved compared to standard mid end packaging. Asus bundled 3 thermal sensors and a Probe IT connector for your multimeter. Asus gave a sticker to label your HDD SATA cables of both ends each. Nice thought, especially for those who use a lot SATA drives. 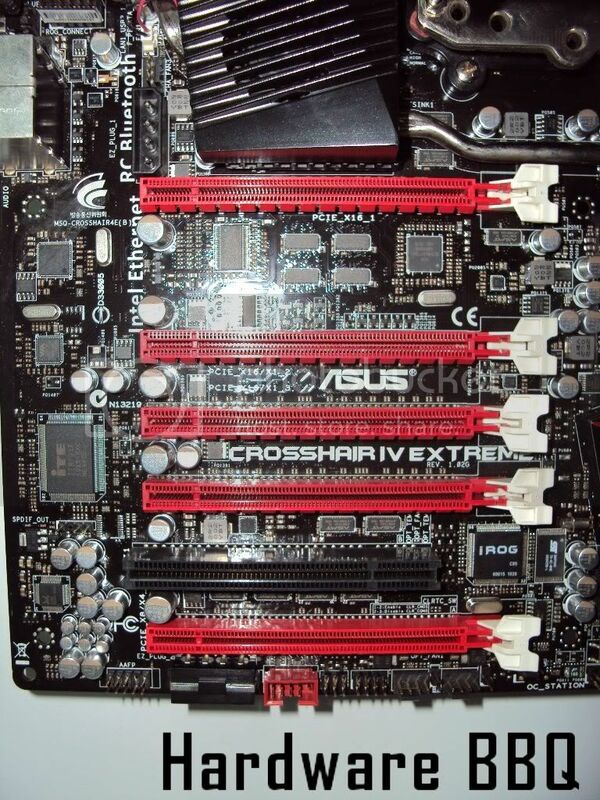 C4E comes with a crossfire and an SLI bridge. 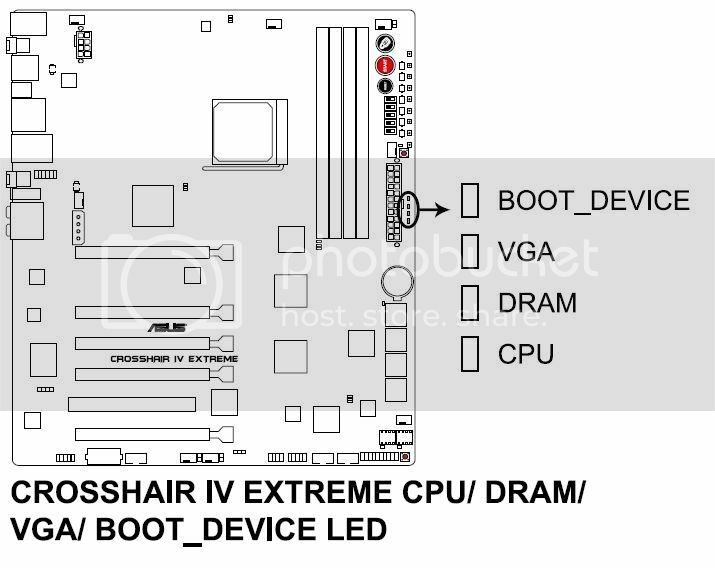 At first I wished they had one of those PCB SLI/Crossfire bridges but then again its just not possible due to the PCIE x16 slot configuration and with the Lucid controller involved. 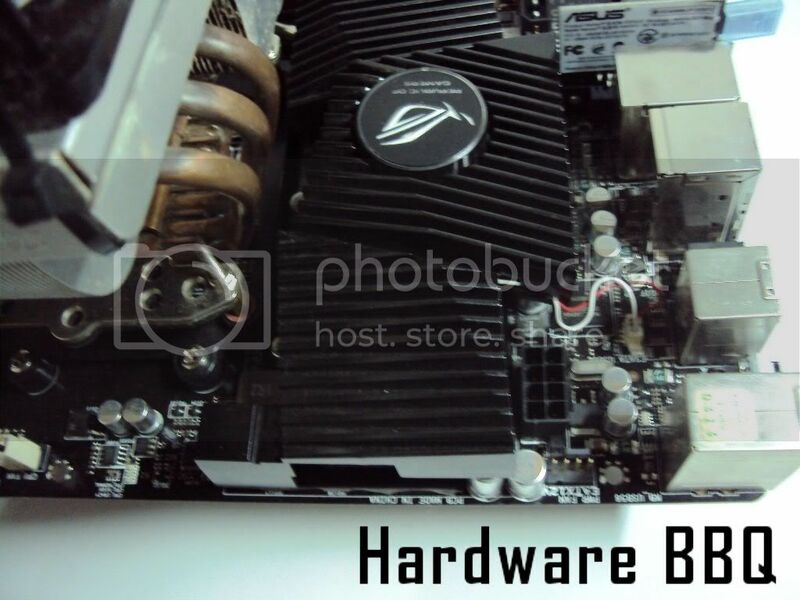 Asus pretty threw in pretty much whatever they got and tossed in a Lucid Hydra chip. They might have gone the E-ATX way but then again it required that much space for so many implementations. 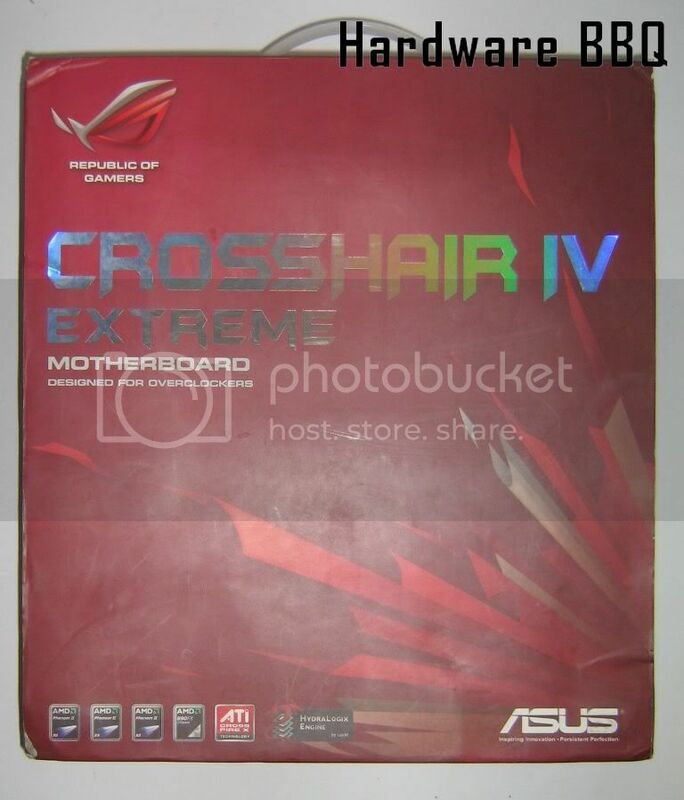 Crosshair 4 Extreme uses with 890FX+ SB 850 Chipset. The board not only maximises what the chipset has to offer, but also used few controllers to maximise the offerings on the board. The northbridge is not in its usual position, rather its more towards the corner. The southbridge sink helps to dissipate heat on the SB850 and the Lucid Chip. The mosfet/voltage controller comes with a thermal pad, whereas the northbridge and Southbridge is with the thermal paste. Lucid chip comes with a different type of thermal pad, most likely Lucid when its utilised. You wouldn’t really need the fan and also the LED. Both come with their own wires so feel free to unplug them if you require it. The MOSFET sink comes with a fan within the cooler for the northbridge. It meant to cool down the pile of MOSFET area. In reality, the fan tends to make noise eventually and I seriously doubt the fan will suffice to cool it down. There’s no way of controlling the MOSFET fan speed via bios so it runs in full speed by default. The fan could have been avoided, even if this is meant for overclockers. Extreme overclockers who want some cooling would end up using a spare 120mm fan, which is far more realistic active cooling solution than a tiny one. 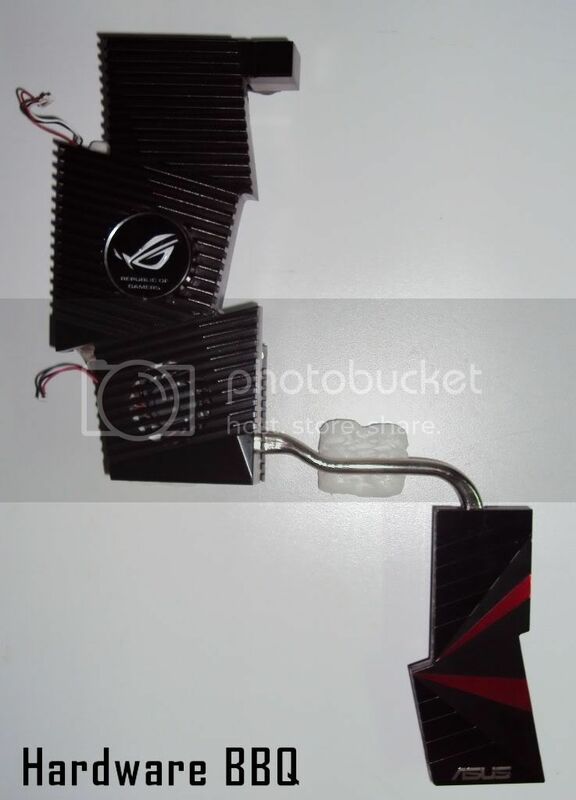 Remember the days when Asus used to bundle Q-Fans? Jinkies!! The entire sink is secured using spring screws on the rear. 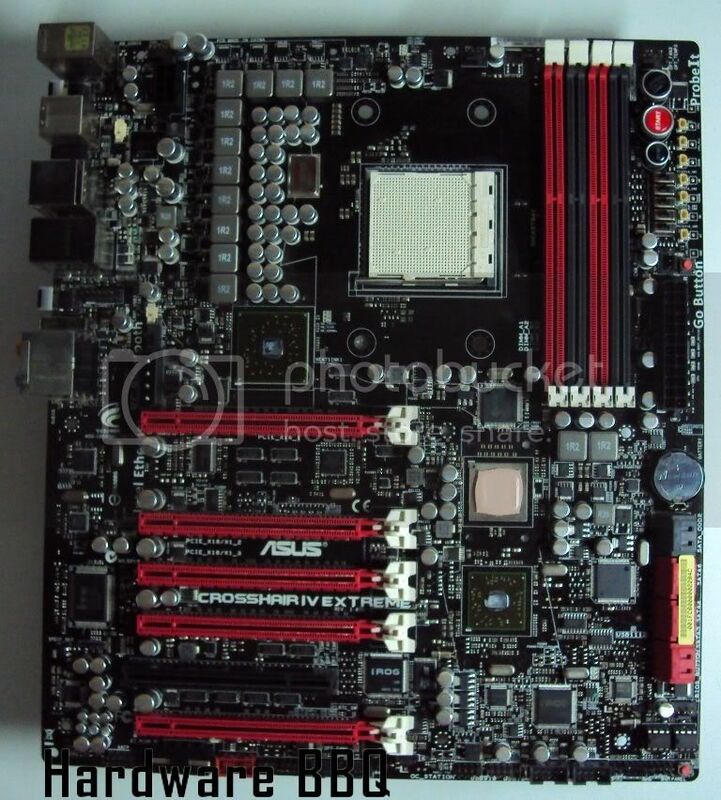 Asus comes with Extreme Engine Digi+ design that uses Multilayer polymer capacitors. Unlike ceramic caps, these do not expand. Boy, the PWM area is seriously loaded (overkill?) with lot of phases and Super ML caps. 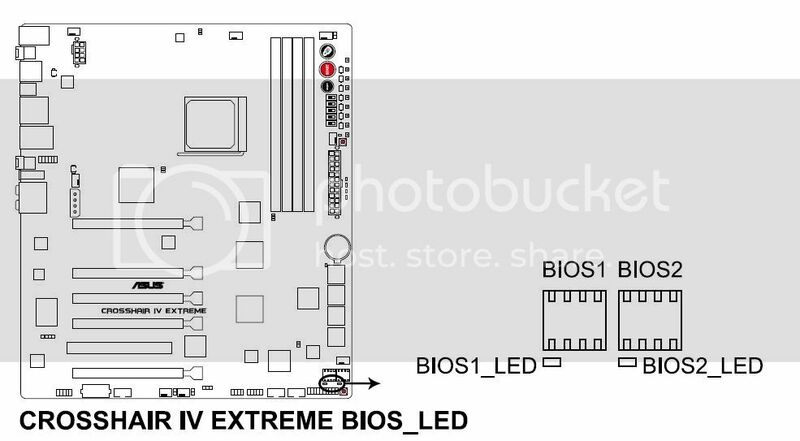 The board doesn’t require another EPS connector like how Intel’s counterpart overclocking class boards are armed with, but if you’re maxing it out on the PCIE slots and going for the kill (Read: making an HWBot Record- or bust), 2 molex connectors are provided. Towards the right is where you will see the usual Start/Reset buttons, but also comes with an unlocker button and ProbeIt contact points to measure voltage via the multimeter. Notice those flick switches? 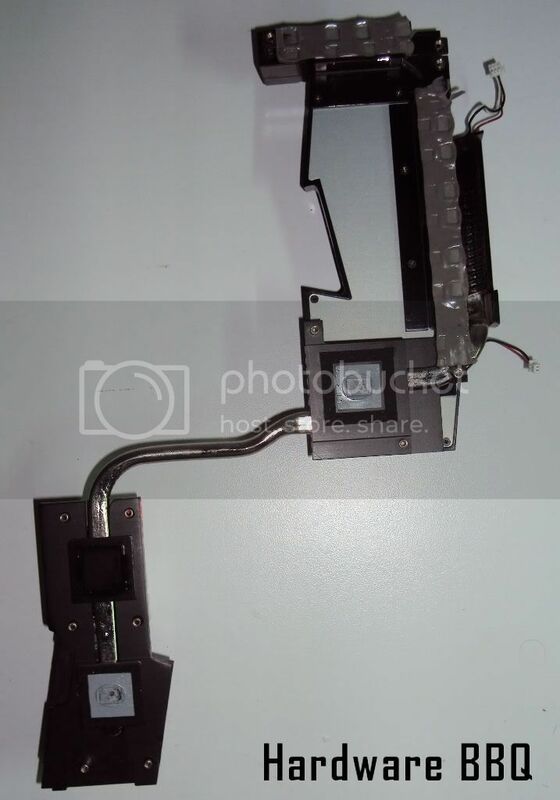 Those are for turning on/off the PCIE slot. 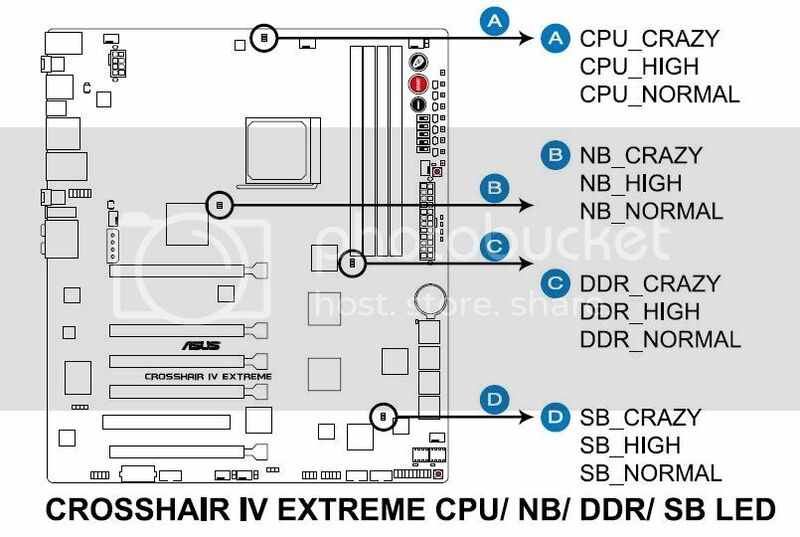 Useful for overclockers with multi GPU configuration but Gamers? By max couple of switches would be used by a gamer with a multi GPU setup (but with the burden of opening the case and throwing the switch). This boards gives a vibe that it was designed on an open test bench. Why label it as gamer series if its not really meant for gamers? Edit: After doing some digging, Formula series looks more like its pitched for Gamers spending lot of cash and Extreme is for overclockers (who can spend lot of money). Why miss an opportunity to get a new series: Republic of overclockers(?). ROG board without a Turbo II Key is like having a watch that does everything, except telling you what time is. Tch tch.There are 2 buttons: Go button that resets the Memory settings to the more stable setting incase your memory overclock failure. There’s a memok! button on the bottom right of the board. Useful for diagnostic the board, otherwise its not required. x16 Bandwidth is available on max Triple GPU setup, but a quad setup divides the first 2 slots as x16, and the other 2 as x8 mode. The board comes with a lot of ASMT PCI-E switches, which helps to switch between x16 and x8 modes, also with the Lucid’s chip. 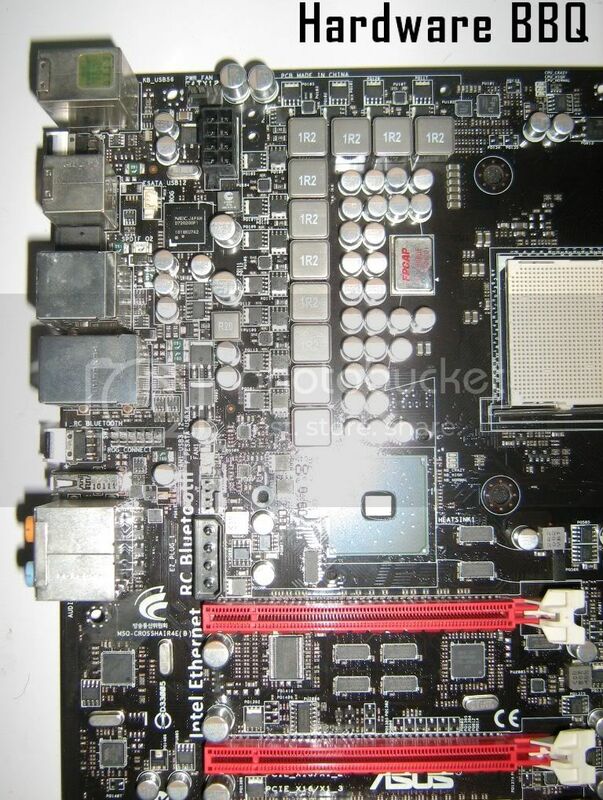 The board uses Realtek ALC889 HD Audio codec,Ethernet controller from Intel and J Micron Controller for the extra 2 SATA ports. SB850 allows the manufacturers to use 6x SATA 6Gb/s slots. On the lower left corner comes a MemOk! button i.e. used for memory diagnostics. The boards comes with an OC_Station header. The I/O Panel comes with 7 USB 2.0 ports (one for ROG connect) with 2x USB 3.0 and 2x ESATA connectors powered by another J Micron controller . The boards comes with a single Gigabit connector that uses Intel 82574L ethernet controller. CMOS button on the rear I/O panel(?) Once you add the RC Bluetooth card, there’s a button for it. There is a cut-out section for the bluetooth card on the I/O panel. Now why would anyone want to remove the Bluetooth card? It could have permanently fixed to the board. Six audio jacks, coaxial/optical S/PDIF-out are also present. 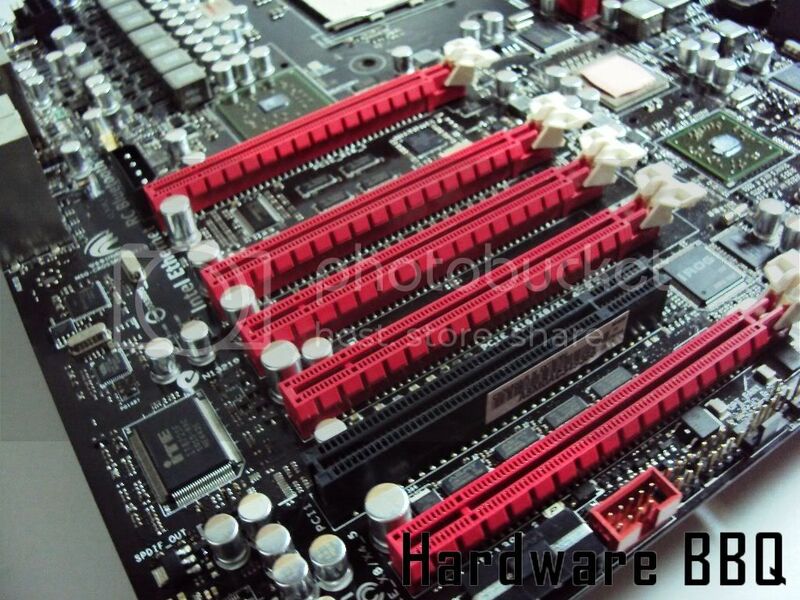 Incase you need more USB ports, the headers on the boards supports upto 6 more USB 2.0. Its obvious till now that the board is made for those who will use it as an open bench setup. 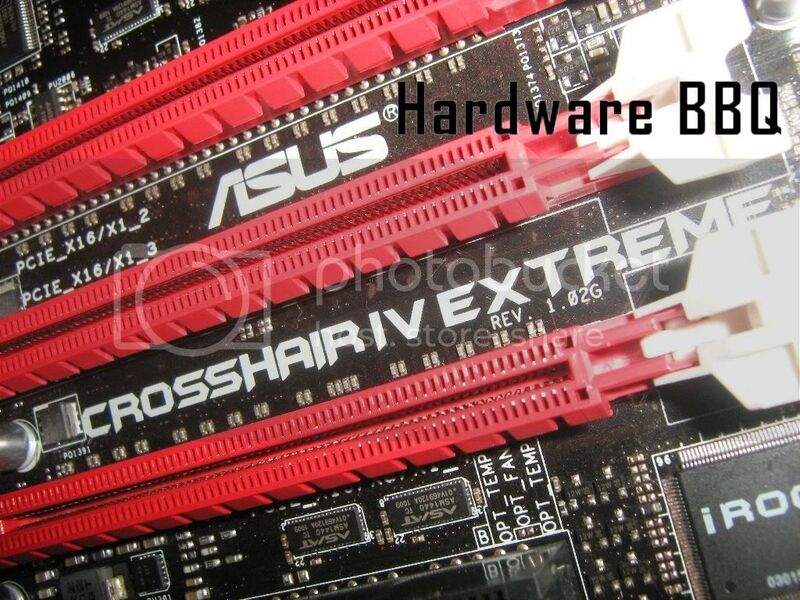 This uses an eatx form factor and there are 2 easy plug molex connectors, should you require more power for extreme overclocking with multiple GPU setups. The right angled molex connector on the bottom gets blocked when its installed inside the Lian Li A70F Full tower case with the bottom mount PSU. Asus has put LED indicators and lot of buttons. 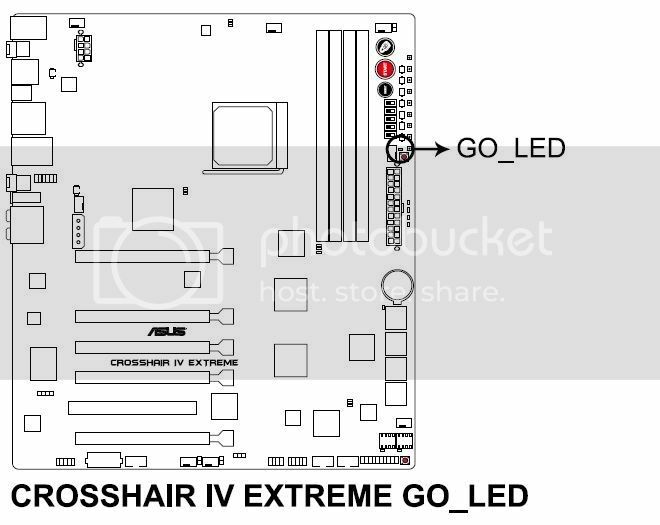 The CPU LED could have been labelled somewhere else as Box coolers tend to block them, especially after installing it on the case. Special thanks to Western Digital India for dropping a Velociraptor drive to be used as a storage for a permanent Testbed. There were 2 things I was not able to do due to certain issues. The camera was busted (replacement coming soon) thanks to a “certain” Airport authority. I was not able to take proper photographs for the Bios. The CPU Level-UP option on the bios did 3.9Ghz stable on 1280mhz on the rig. 550BE was able to 3.6ghz easily with the same board. Truth be told, I was not able to push anything higher than this on stock voltage. I was looking out for a ram kit but Kingston Taiwan gave a helping hand and shipped a pretty good memory kit that I specifically requested (about 4gigs 1600mhz cl9 with low profile rams). 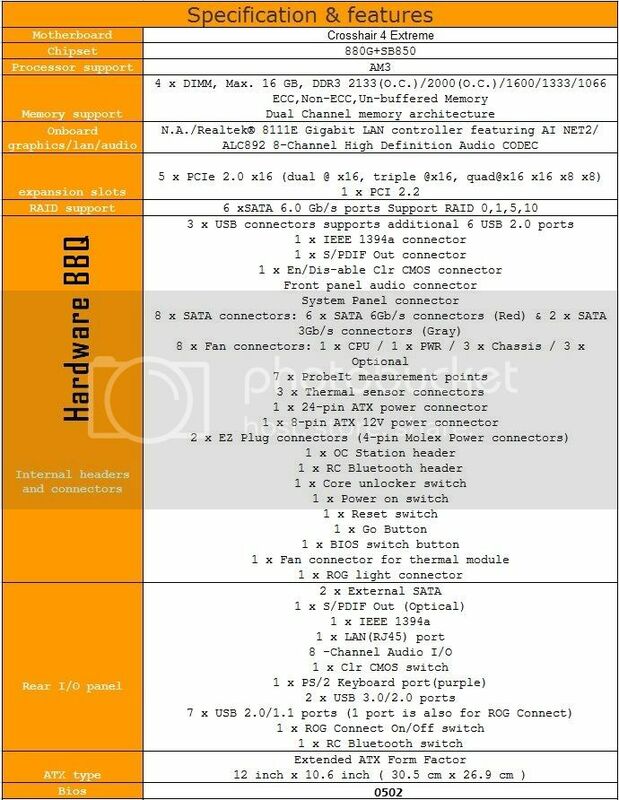 Kingston Taiwan mentioned the model number according to the reviews on other sources she can do 1333 MHz 6-7-6-20 @ 1.5v and 1600mhz 7-8-7-27. 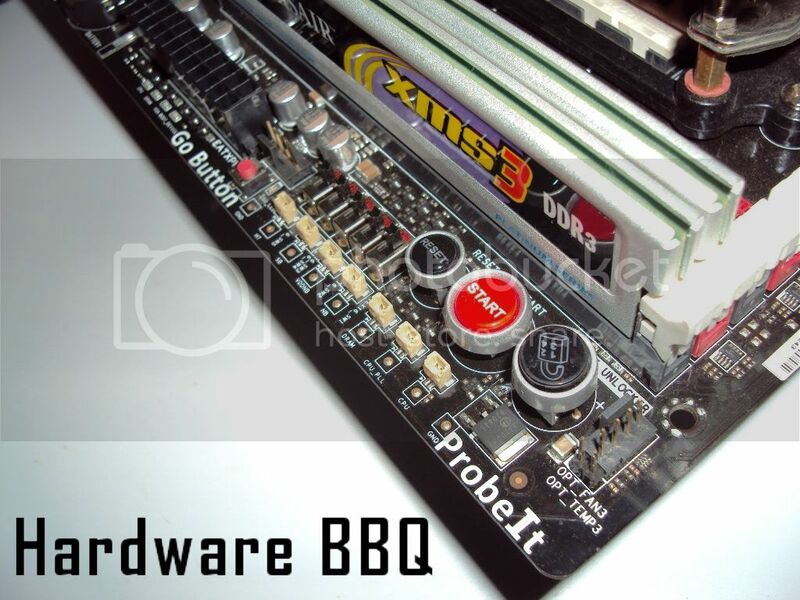 Keep an eye out for BBQ’s very first Official Testbed setup! 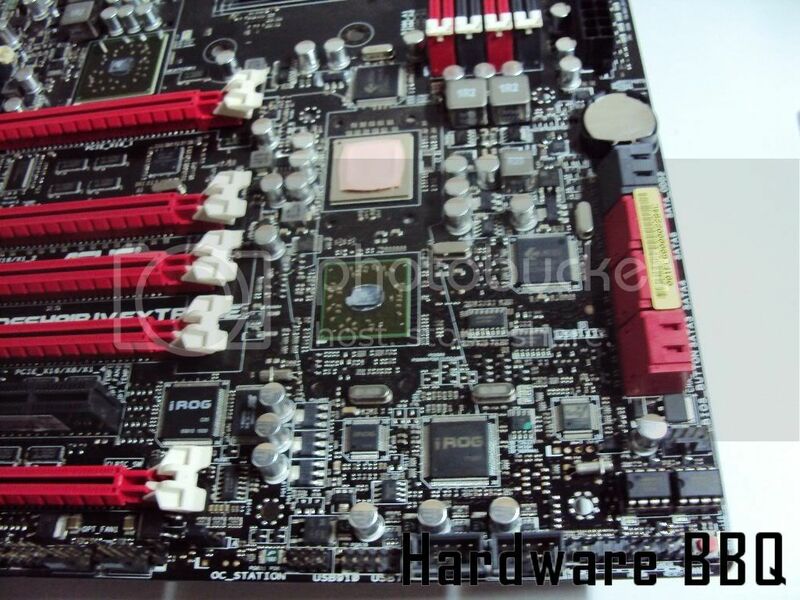 This board gave me the same vibe that 890FXA UD7 did and probably that’s the reason why the review didn’t turn out well. When I test, with whatever resources I have in hand I maximise and populate the ports/slots and give it a 4 hour Stress Test on Stock. I also test the hardwares on a closed case setup using the lian li case, so that I can find something that few reviewers cant. Unless you’re an ROG fanboy or an enthusiast who wants to take advantage of Lucid’s chip or an overclocker who has a specific reason to grab this board, why would you buy it? I am not blaming the board, its just that AMD needs to have the best performance money can buy so that such boards will sell. There are lot of features, but most them end up being ignored by the user as soon as its in a PC Chassis. What would really be nice is to make a voltage contact points/Start/Reset/MemOk! GO Button on a 5.25 bay. Still question arises: How many would even need it? Certain Intel offerings are best performance money can buy and most AMD products are best performance-per- buck. 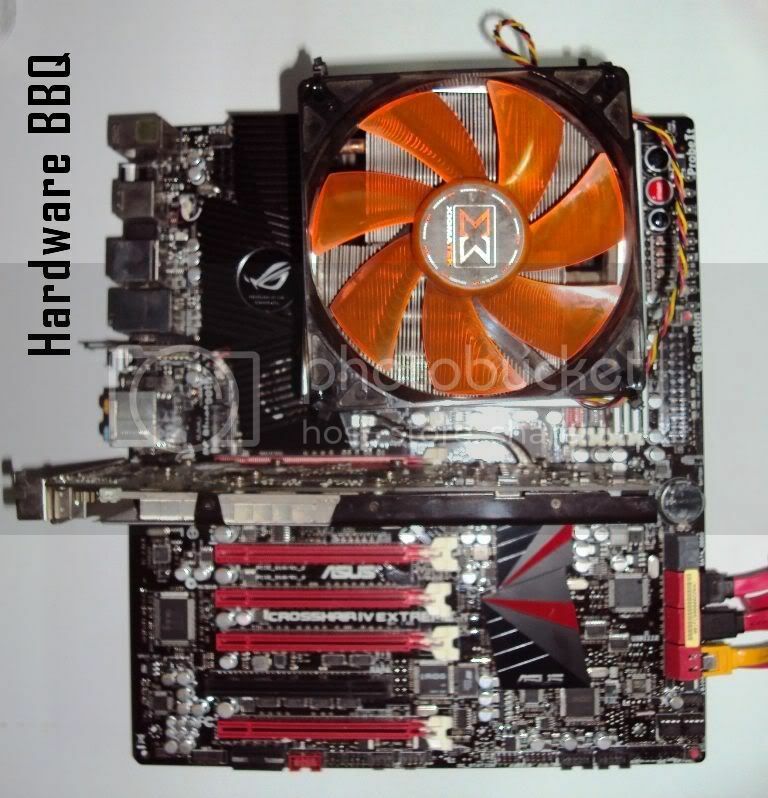 890G boards from few companies have a lot of good boards that are good enough for having an AMD setup. Anything more is simply an overkill which adds up the cost. Asus informed that the official pricing is Rs. 20,850/-. As far as branding is concerned: The board comes under the series “Republic of Gamers”. Maybe CPU-LEVEL UP and better components might help for gamers, but that’s about it. Its more of an opinion, but a board that is pitched for gamers should be made and priced in a way that can be sold to gamers in general. Many would agree to an extent, the sabertooth series feels that its aimed towards gamers and people who don’t want to spend a lot of money (which gamers don’t like as well) for a high performance setup. 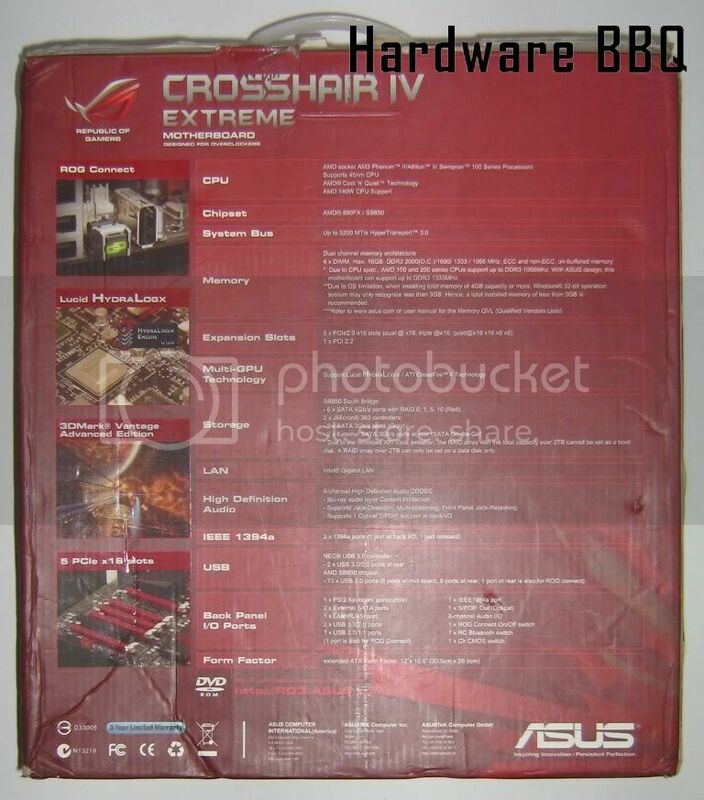 Not all gamers are overclockers and not all gamers will spend this much money on a motherboard. 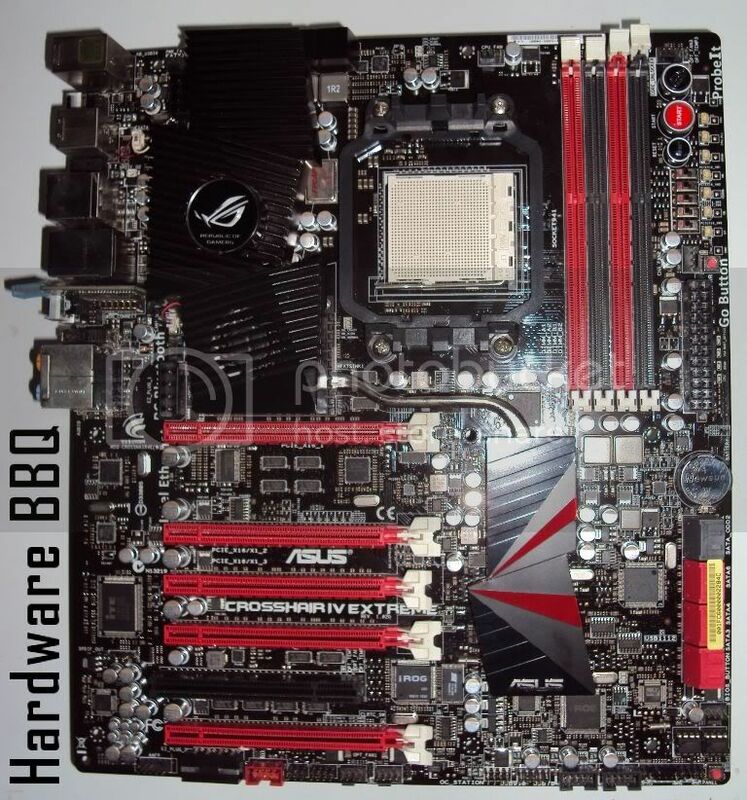 There are many good boards that cost less from a Tier 1 manufacturer with an auto overclocking feature on Bios/CPU Level up or any other proprietary name that does the same job- especially Asus’ lineup. Turn that on and you’re good to go. Anything more than 890G+SB850+ all the usual add-ons/slots+USB3- you’re set dude!! But this is something I want to see in an ROG board: Auto-overclocking options for CPU and Asus’ GPU at a press of a button without restarting the system. This will be interesting to see if it can be achieved irrespective of the chipset and the Asus series GPU- reference or non reference. Irrespective of the company, I just don’t get the same vibe as I used to with boards like A8N-E Deluxe Premium Edition (either that or I am growing old). Cheesy it might sound, but you rather buy an ordinary cake that tastes really good compared to buying a cake with lot of decorations that you will ignore unless there’s a reason. Okay- so ROG connect with a notebook is nice and some people will use it. But overclocking via wireless devices is just overkill. Resources to make such software for different platforms could have been done by making something else. A good point I can think of is that almost all the hightower cases can accomodate E-ATX form factors and Asus managed to cramp a lot of features with Lucid on the board nicely. UD7 is an XL-ATX form factor that can’t fit in Lian Li A70F. Lucid Technology still has a long way to go as far performance boost is concerned. Personally, I would have liked to see a PCIE x1 slot. 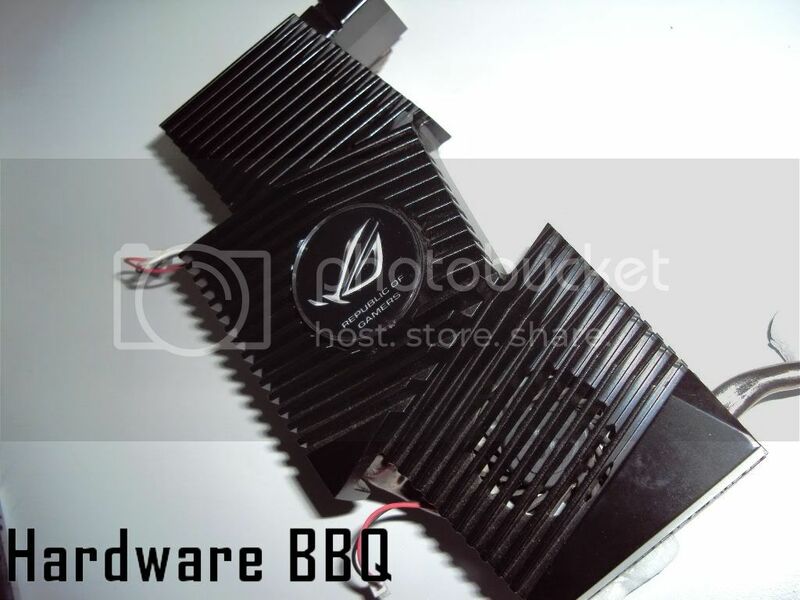 Asus didn’t use paraffin wax for any of the heatsinks either.